Picnic eats. We were working with what we had on hand as we were leaving for a week’s vacation early the next day! 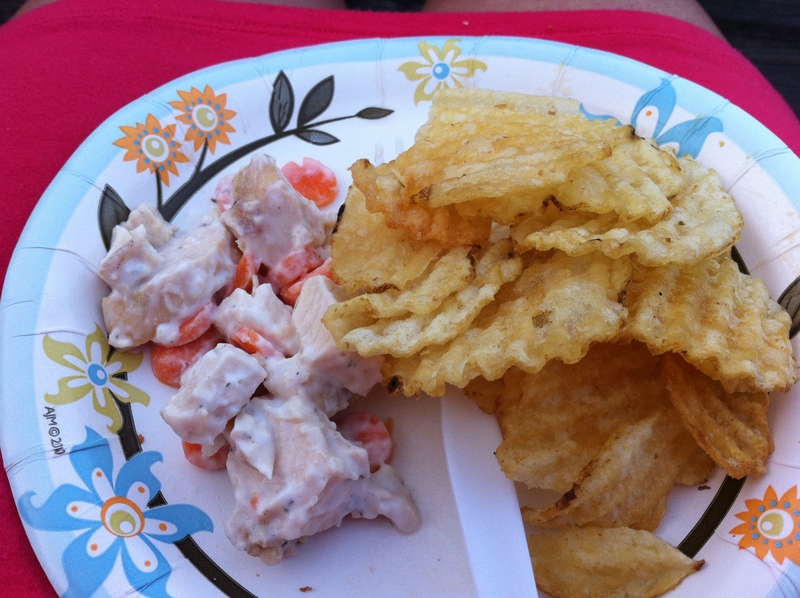 But this was pretty tasty (chicken salad with potato chips).